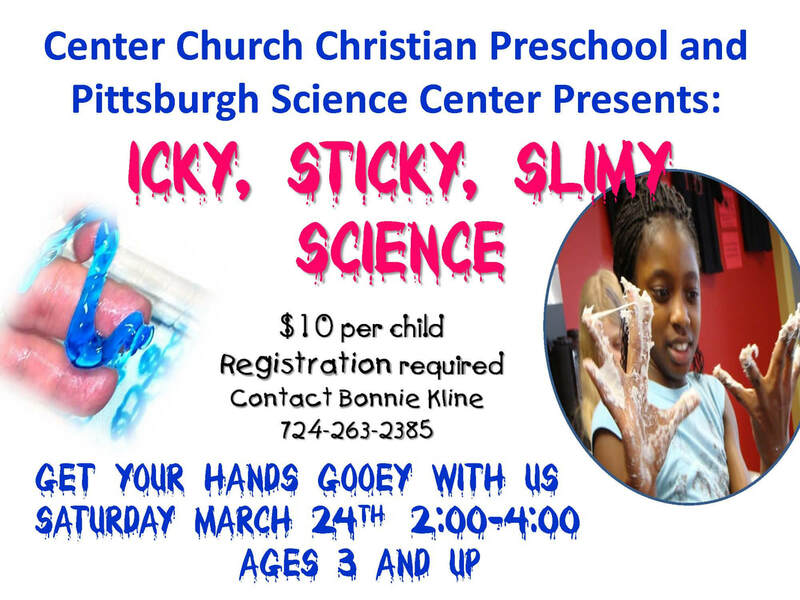 March 24th 2:00 - 4:00 p.m.
On March 24th from 2 - 4 p.m., your children will experience science at it's ickiest and stickiest. All children ages 3 years and up are welcome, the cost is $10.00 per child. Plan to join us for crafts, activities, snacks, DJ, and more! Click here for a printable form you can mail in to reserve your spot.